Graphic design histories are, in large part, harvests of unearthed images and anecdotes. Every time a graphic design history book is published on any region or nation outside the major design centres, a new collection of images becomes ripe for plunder. When Philip B. Meggs’ A History of Graphic Design was published in the US in 1986, many of his examples were later reproduced elsewhere, as though he had found the sacred scrolls of design. At the same time, much graphic design was ignored because he did not anoint it. But as historical scholarship expanded, design from hitherto unexplored countries came to the surface. Some earned pantheon status. Eastern Europe, which from the turn of the century to the Second World War boasted a robust avant-garde and a prosperous commercial graphic design industry, has proved a rich mine of such images. Books, exhibitions and Flickr sets have revealed some eye-opening specimens, and virtually none of the material in recently published surveys of Polish and Romanian graphics (see David Crowley’s review of the former on page 92) had previously appeared in any of the leading design history books. 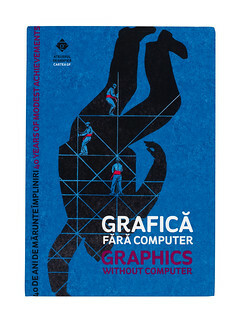 The first two volumes of Graphics Without Computers (a third is in preparation) are packed with Romanian street signs, industrial placards, stencils and other indoor and outdoor vernacular and quotidian graphics, with accompanying essays relating to the manufacture and conception of the work according to specific kinds (hand lettering, architectural lettering, etc.). This critical mass of design genres is indeed impressive. The materials range from metal to paper, from enamel to neon. Letters are screen-printed, embossed, debossed, hand-drawn and hand-painted. Most are technically rendered, though some are quite raw. With a few exceptions, they were produced during the Communist period (1945-89), and look beautifully drab and elegantly pedantic. Although Romania has a fair share of talented designers and illustrators (Saul Steinberg, to name but one), these functional graphics show little of that creative flair. Rather, they are indicative of the visual communications infrastructure of a once iron-fisted nation. In that sense alone Graphics Without Computers is a valuable addition to graphic design and popular art history. Yet would any of these images be appropriate for a more general history of graphic design? Would, for instance, the deco farmacie or Higiena signs find their way into the next Meggs edition? 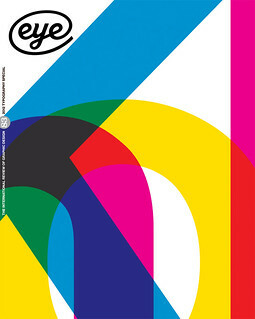 Or the colourful factory cautionary posters that fill many pages in the second volume? Probably not. While these are not the books that will advance graphic design history with missing Modernist links, they do provide a useful and fascinating guide to the role of graphics in selling wares and governing behaviour in a once economically paralysed dictatorial state. First volume of Graphics Without Computers. 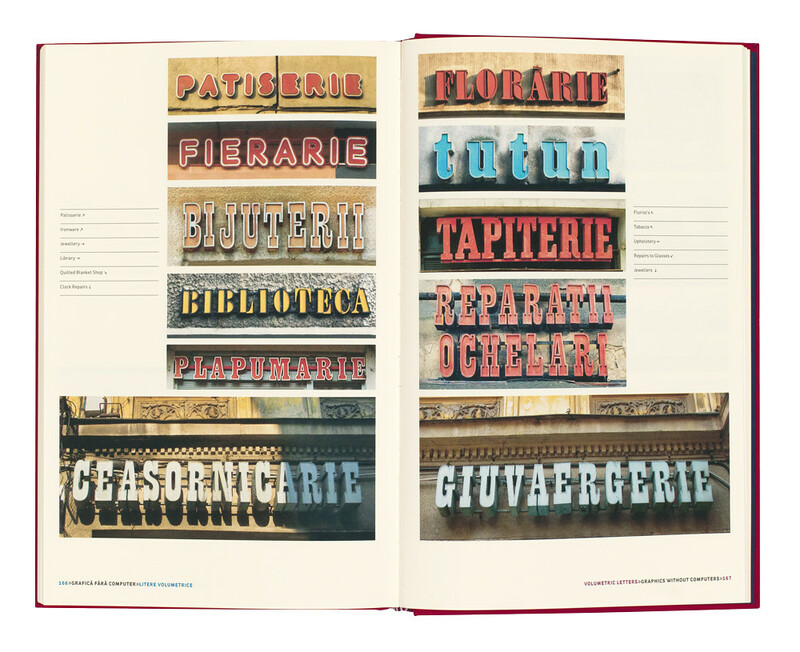 Top: shop signs from the Volumetric Letters section of the second volume.